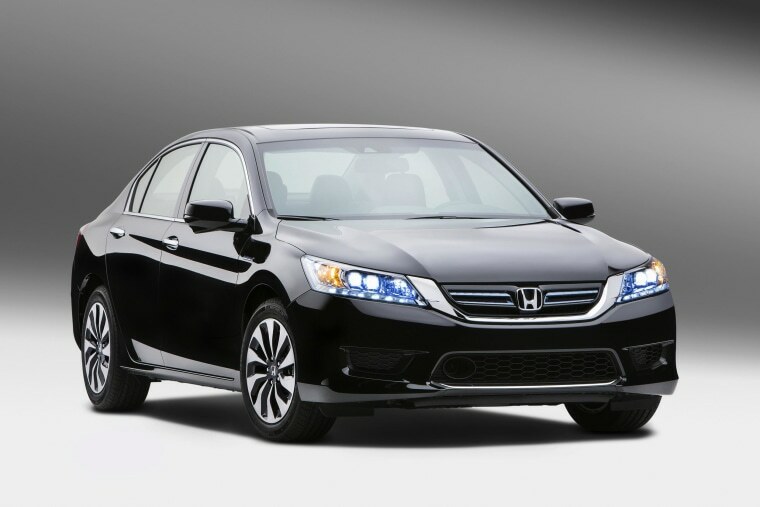 The 2014 Honda Accord Hybrid is the latest among a growing list of gas-electric models to take hits for what critics contend are overly optimistic and misleading mileage claims. Consumer Reports said Thursday that in its own tests of the 2014 Honda Accord Hybrid, it averaged just 40 mpg in the Environmental Protection Agency’s combined city/highway cycle, a full 7 mpg below the figure on its window sticker. That discrepancy can work out to a significantly higher annual fuel bill. At 47 mpg, a typical motorist clocking 15,000 miles a year would expect to burn around 320 gallons annually. At $4 a gallon that would work out to around $1,280. Reduce fuel economy to 40 mpg and the bill rises to about $1,500. It’s not the first time Honda has been faulted for its hybrid mileage ratings, but it’s far from alone. Ford last year lowered its own numbers for the C-Max hybrid that initially also had a 47 mpg rating. Consumer Reports noted in 2012 that there was a wide disparity between the mileage ratings for the Ford Fusion and C-Max hybrids and what the magazine’s test results indicated. Several consumers sued Ford because of that gap. The maker last year announced it would reduce its stated mileage on the C-Max to 43 mpg. “We’ve found that the EPA tests often exaggerate the fuel economy of hybrids,” said Jake Fisher, director of automotive testing for Consumer Reports. But most manufacturers have been sticking by their fuel economy numbers, which are based on testing by the EPA, despite concerns that the industry has been “gaming” the system by tuning vehicles to maximize results in those tests while delivering lower results in real-world driving.